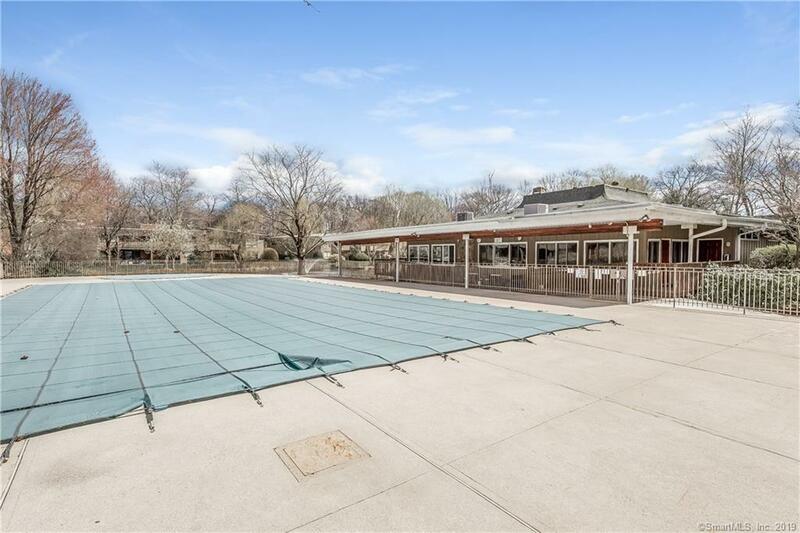 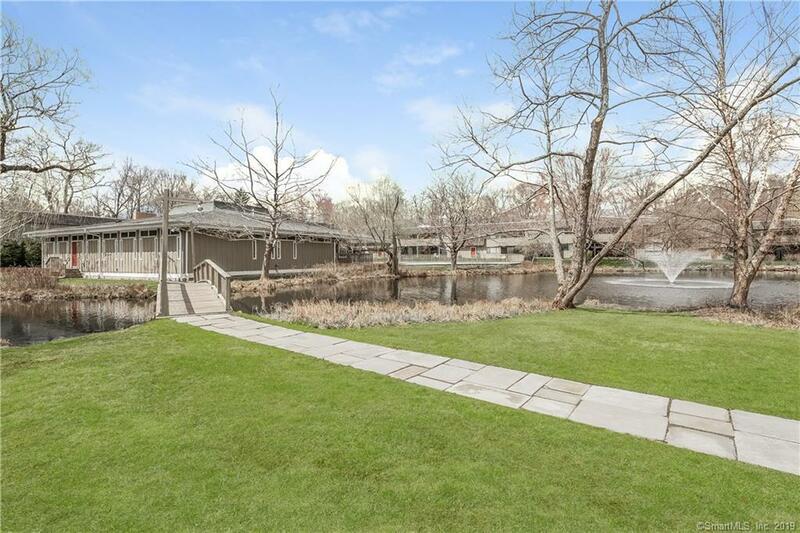 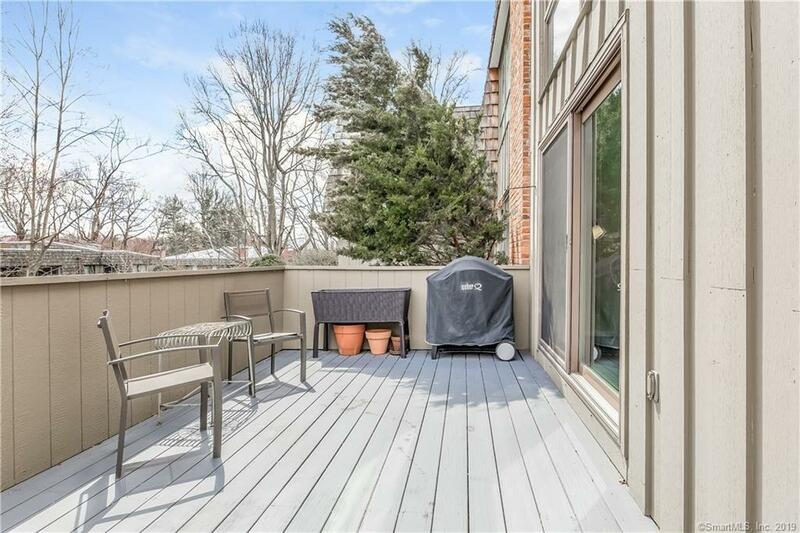 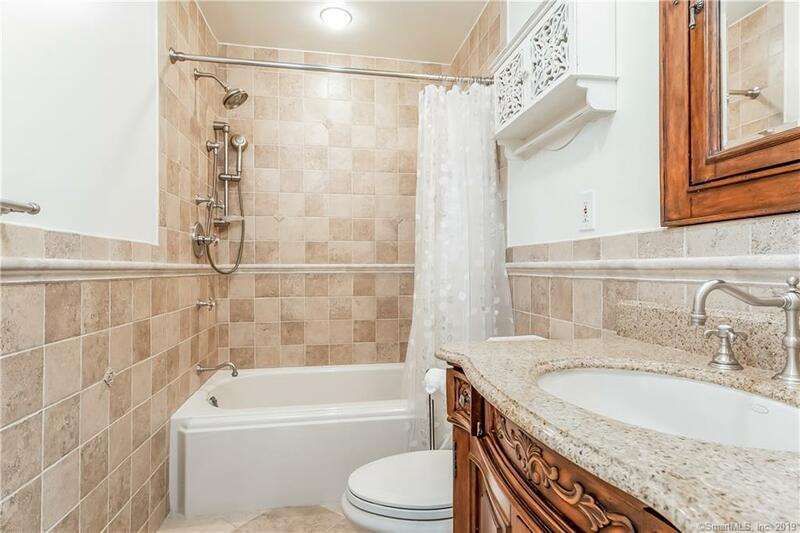 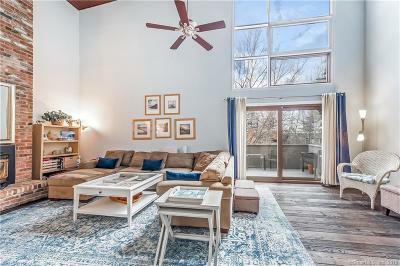 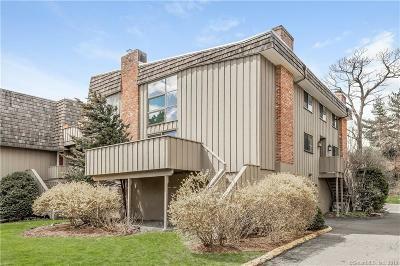 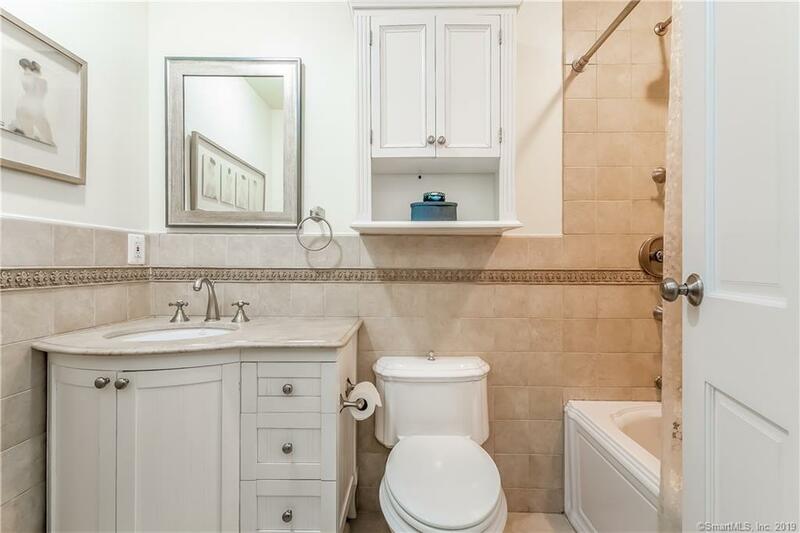 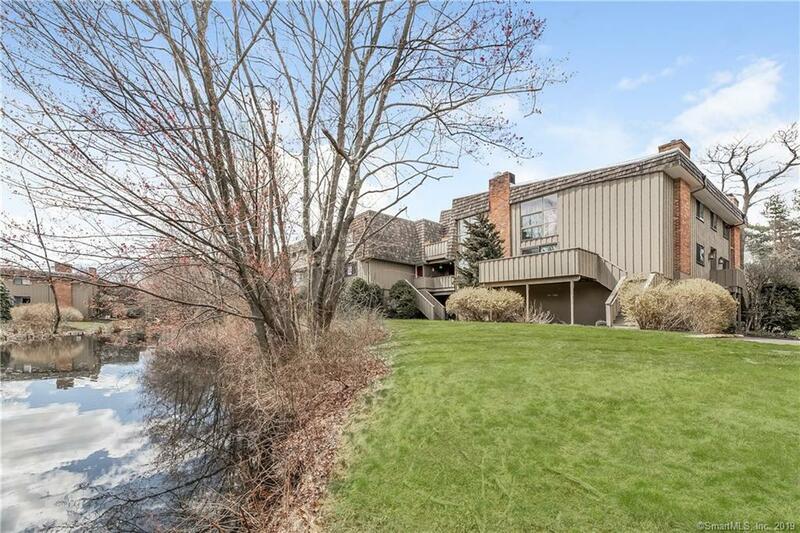 Rare end unit townhouse at Ledgebrook Condominiums. 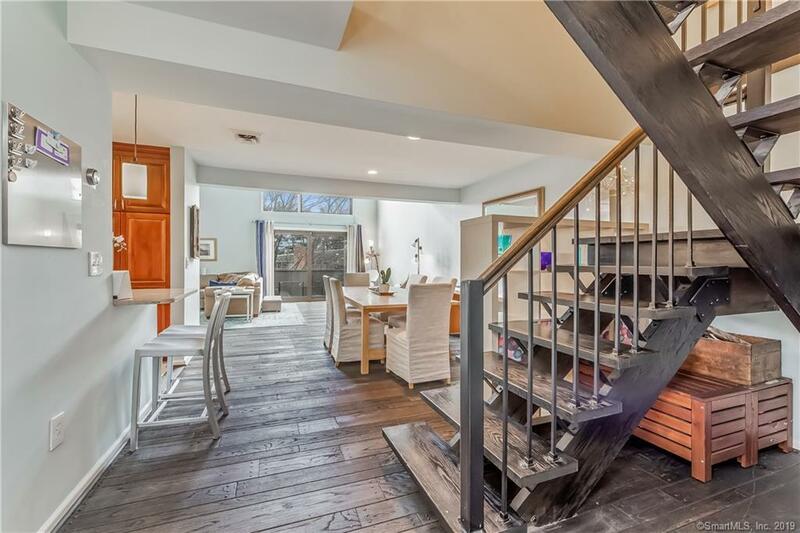 Dramatic spaces with cathedral ceilings, wall of windows, three fireplaces, gorgeous kitchen, loft office area and updated baths plus a den or fourth bedroom. 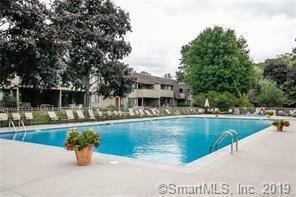 Over 2000 square feet with hardwood floors, open living / dining / loft areas. 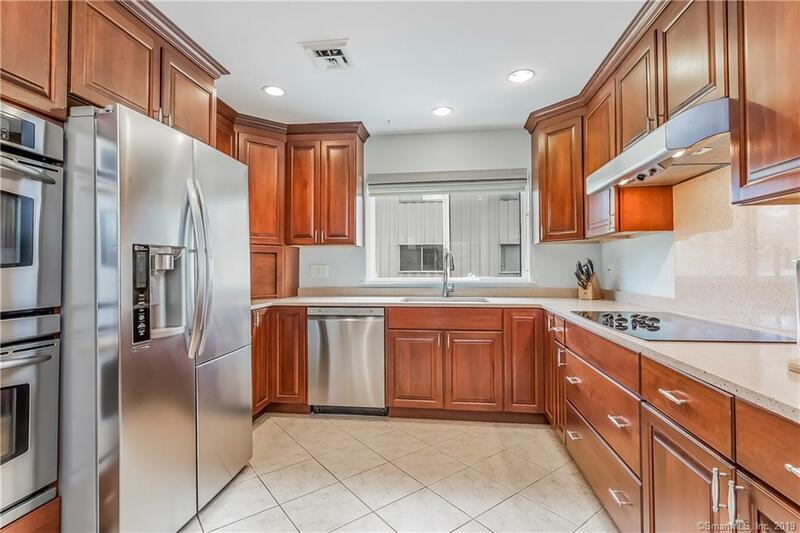 The kitchen has granite counters and stainless steel appliances including a double wall oven. 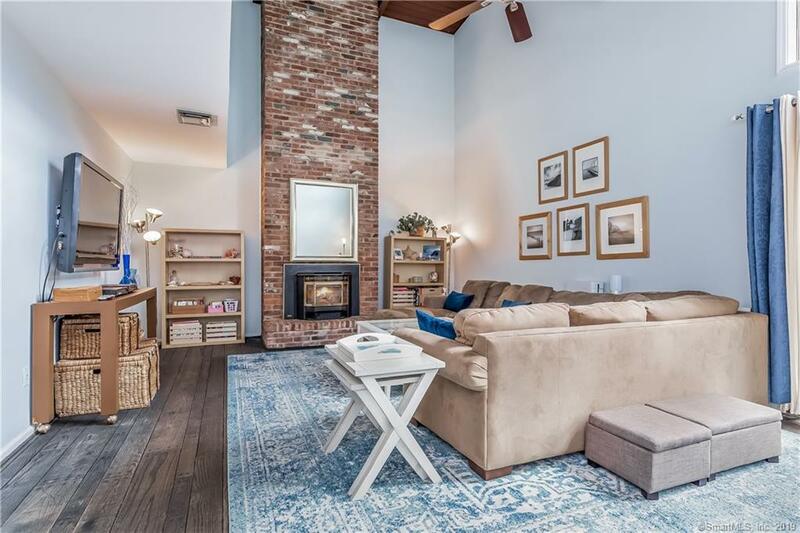 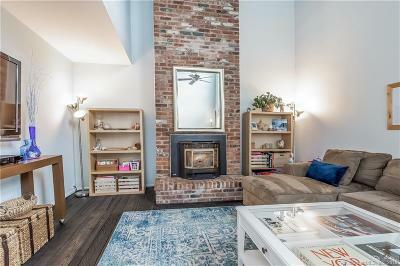 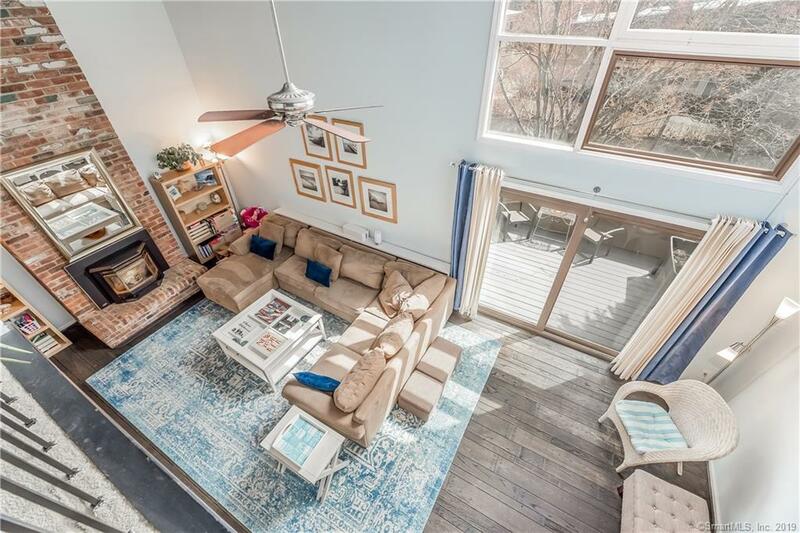 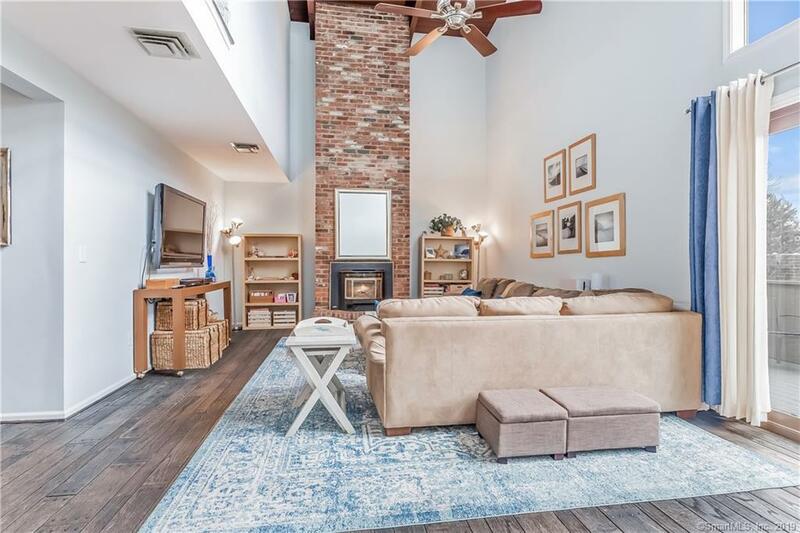 The living room features a floor-to-ceiling brick fireplace with a pellet stove insert for heating efficiency, a wall of glass and sliders to the private deck overlooking the brook. 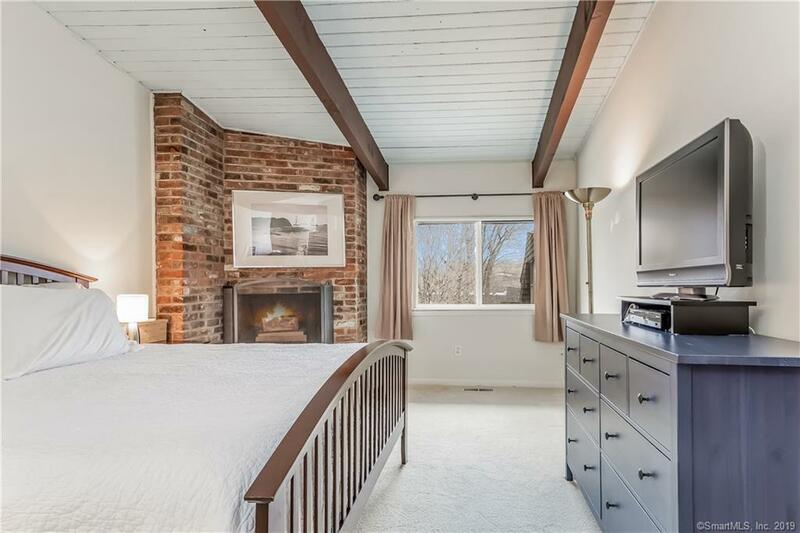 The main floor den (or optional fourth bedroom) has hardwood floors plus a second brick fireplace. 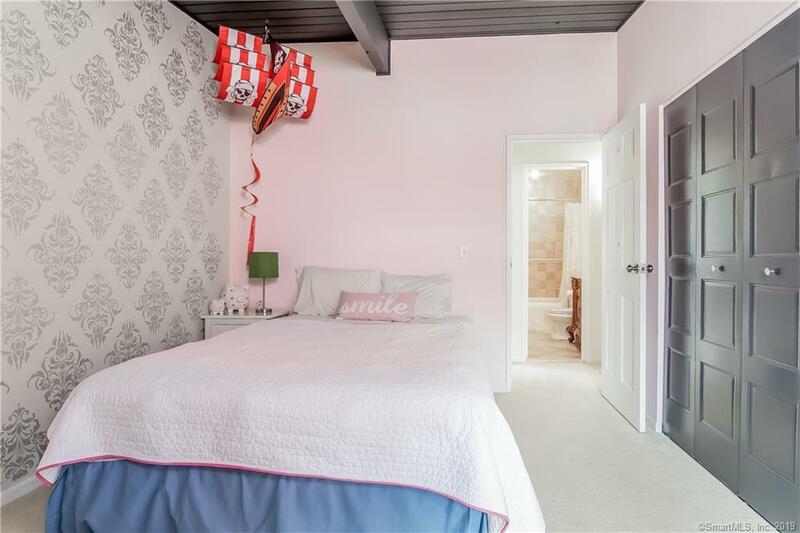 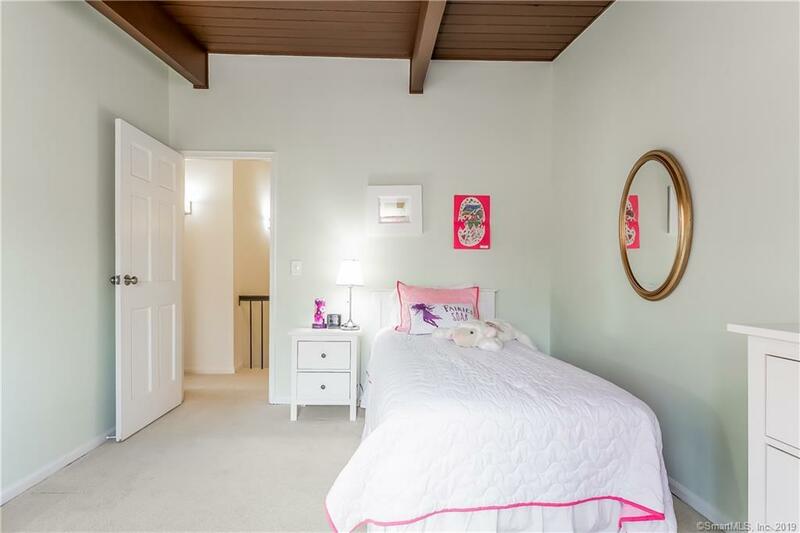 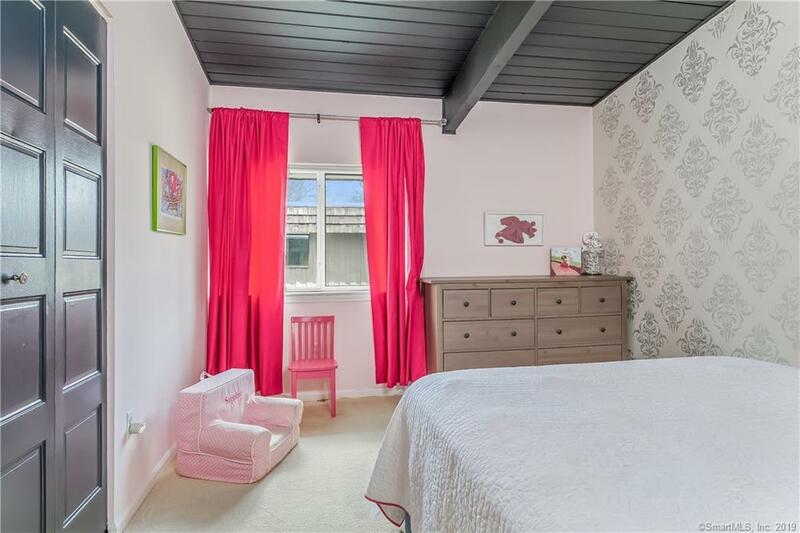 The master bedroom has vaulted ceiling and fireplace, plus huge walk-in closet and tiled master bath. 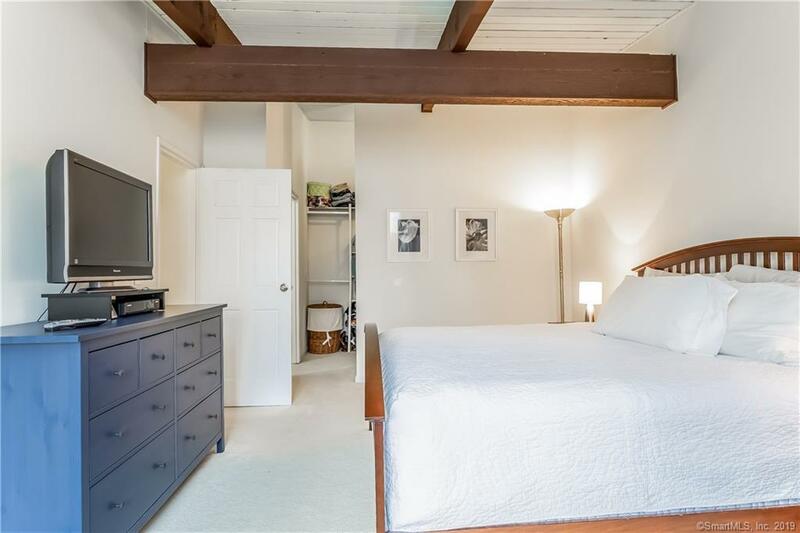 Two additional bedrooms plus tiled bath and loft overlooking living area complete the upper floor. 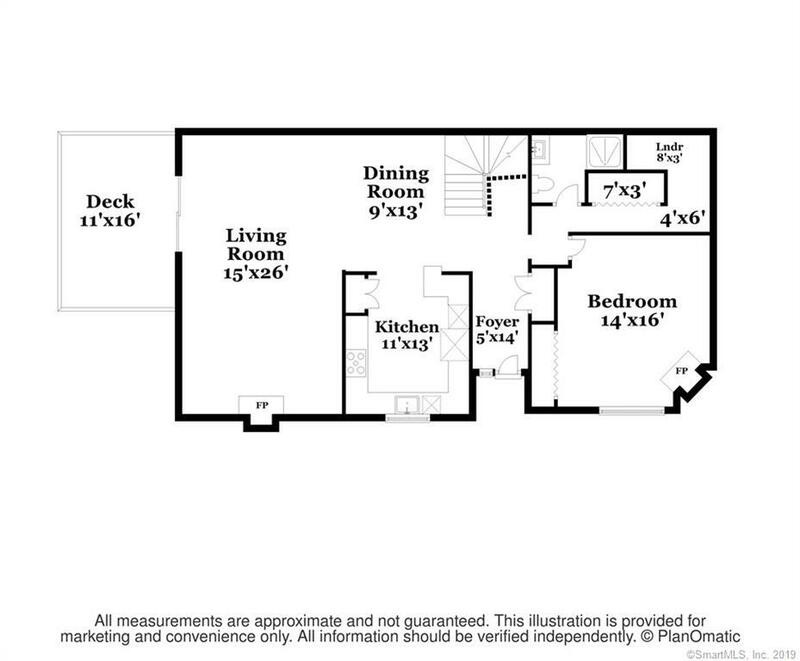 Main floor Laundry has stacked washer and dryer and a wall of storage cabinetry. 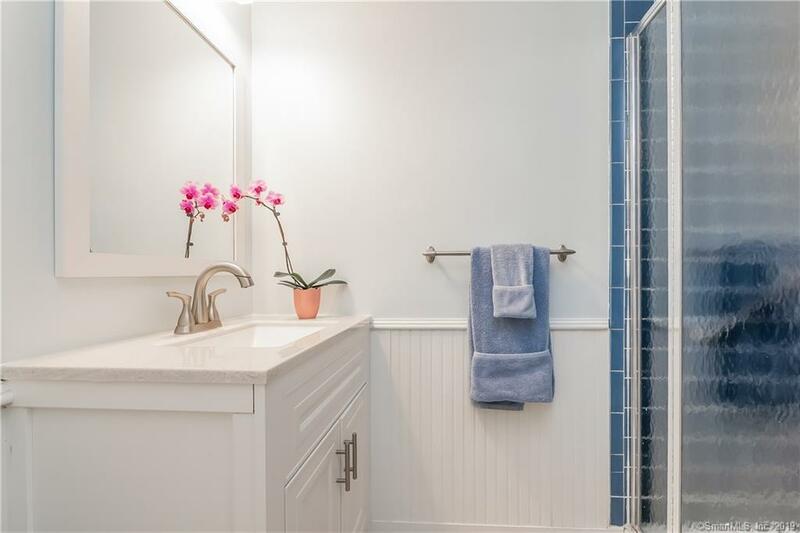 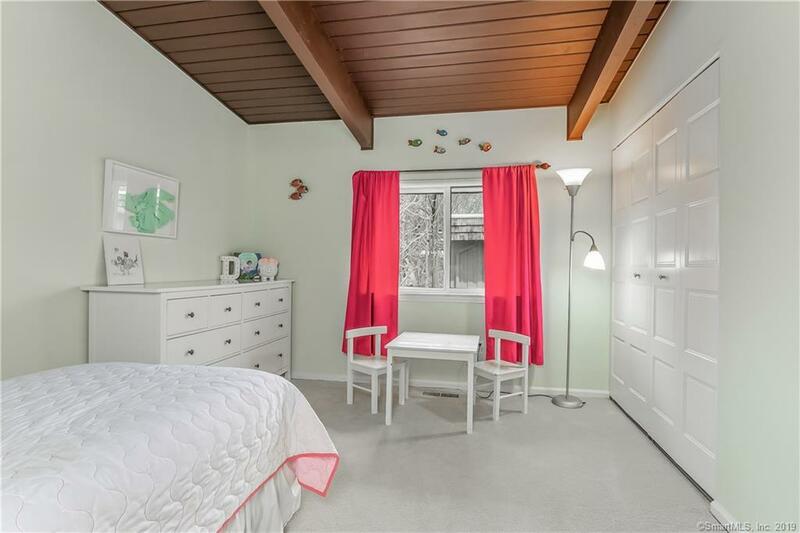 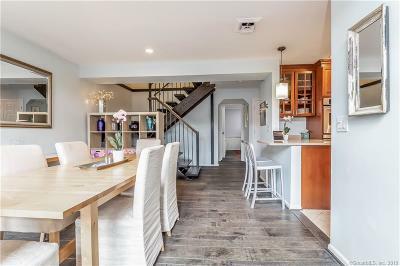 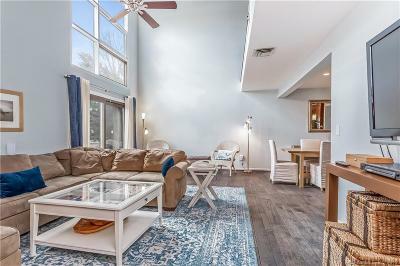 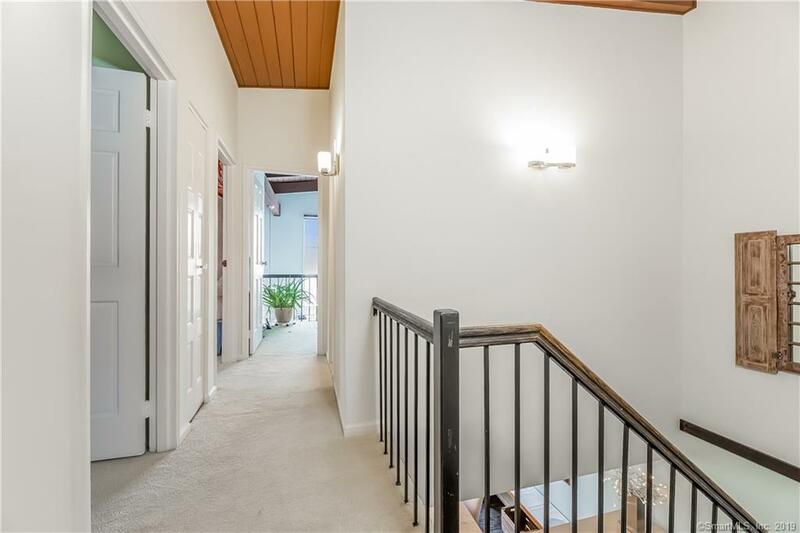 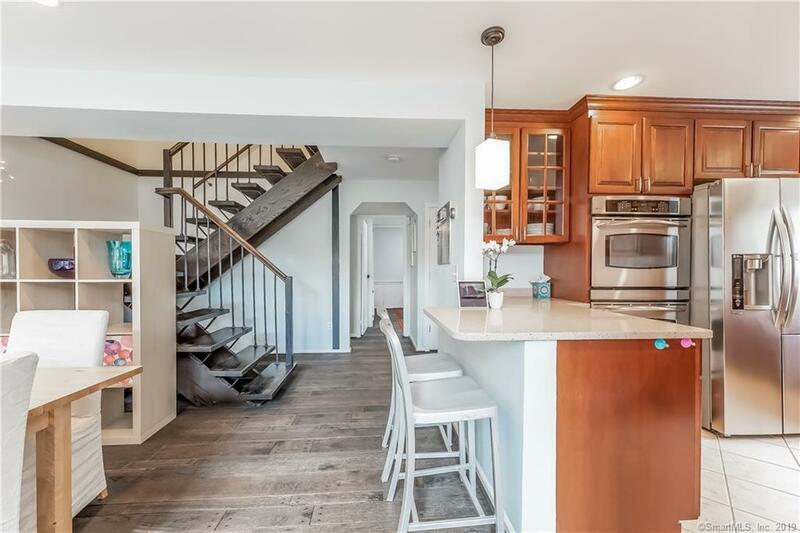 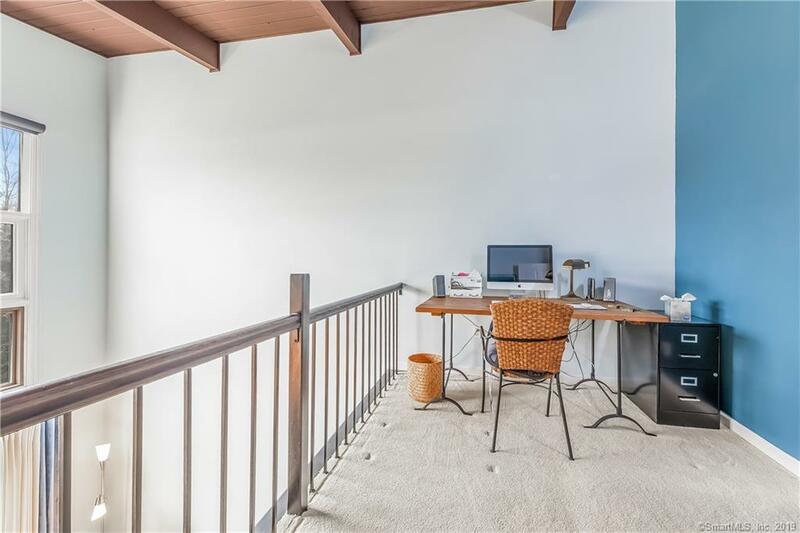 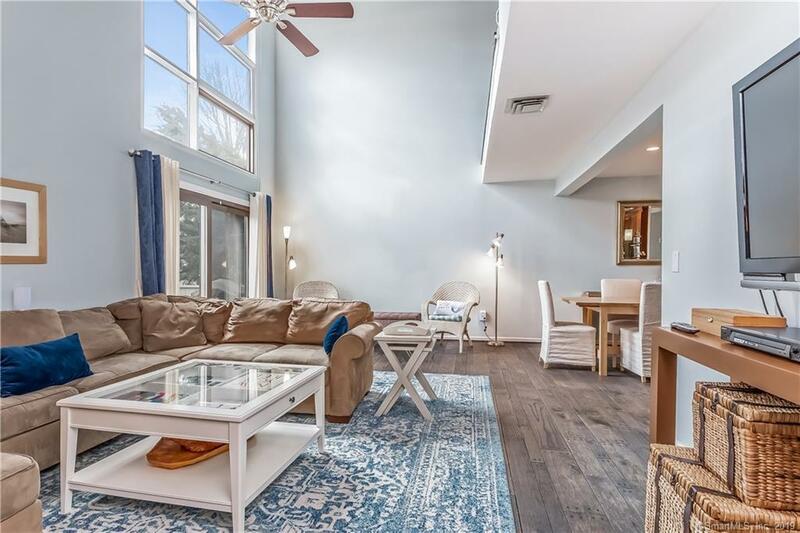 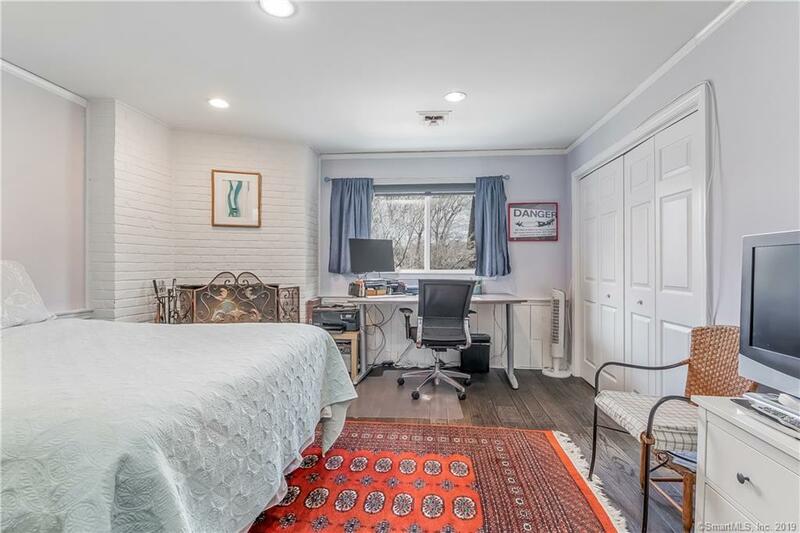 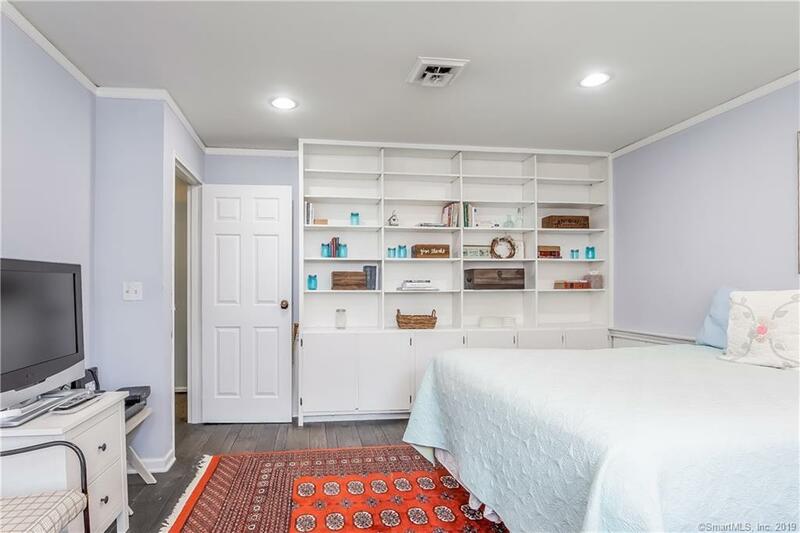 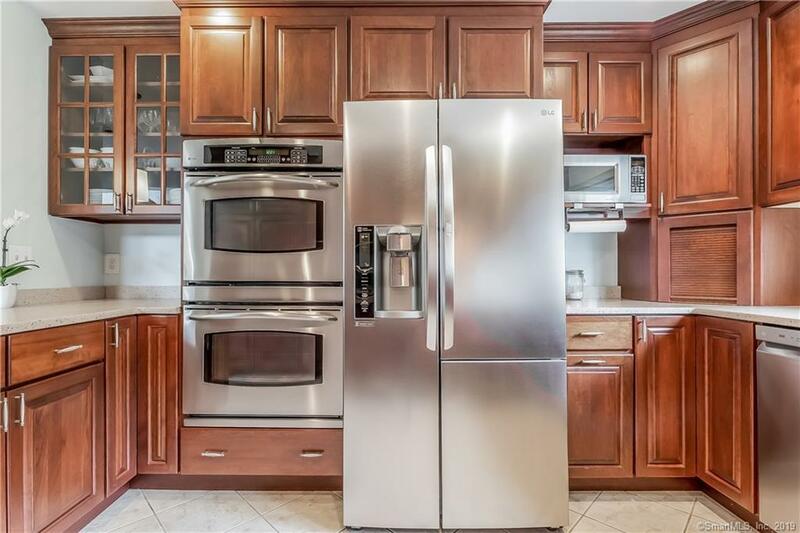 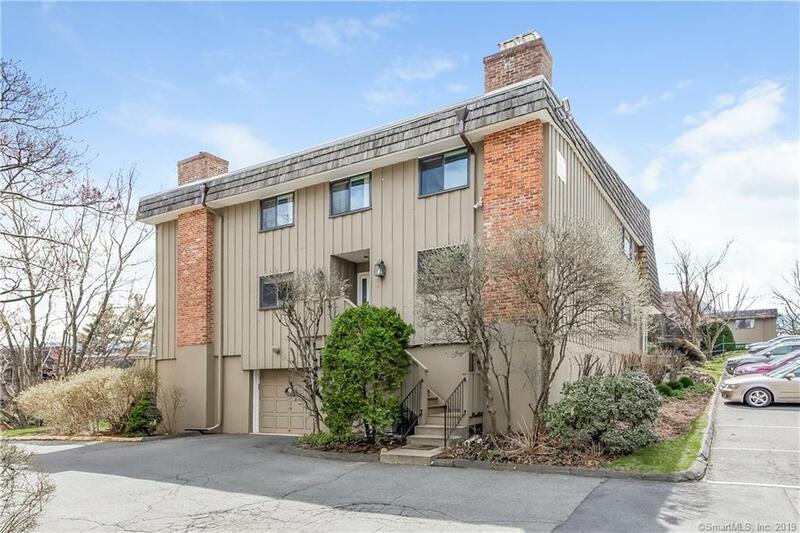 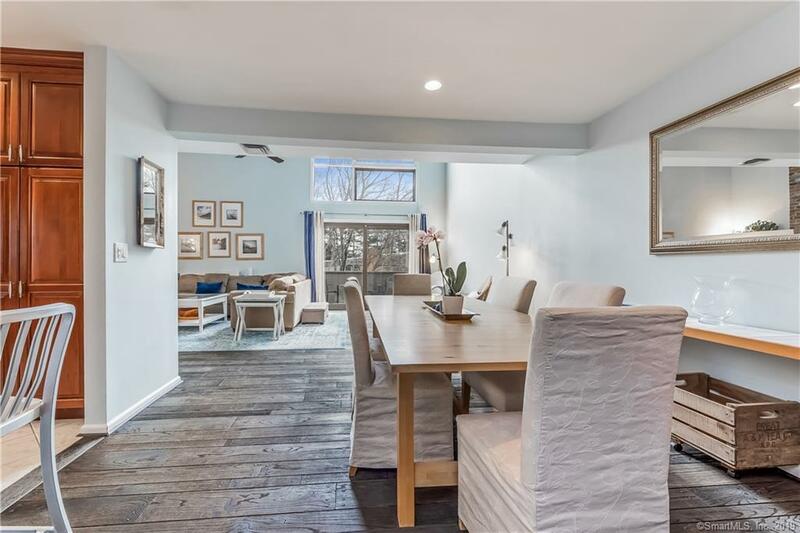 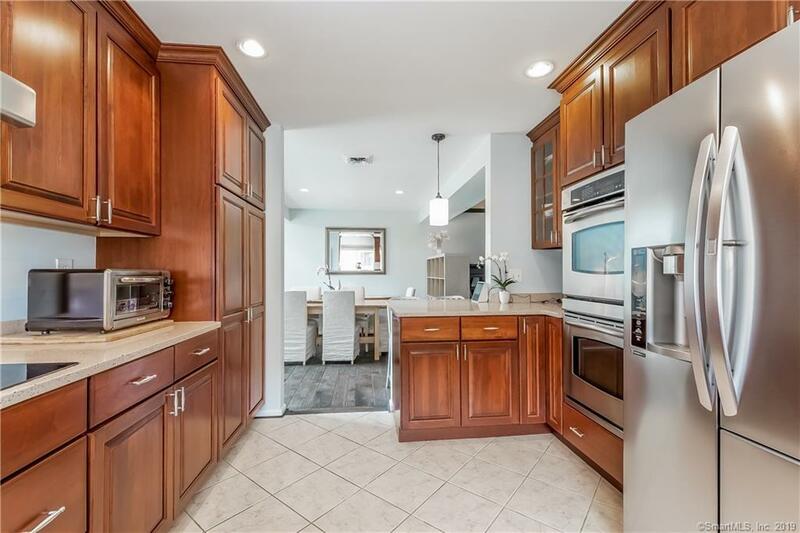 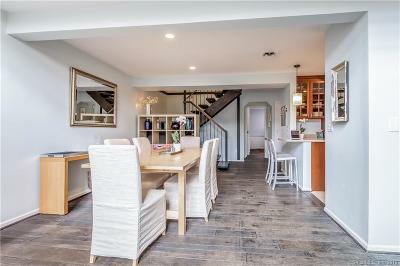 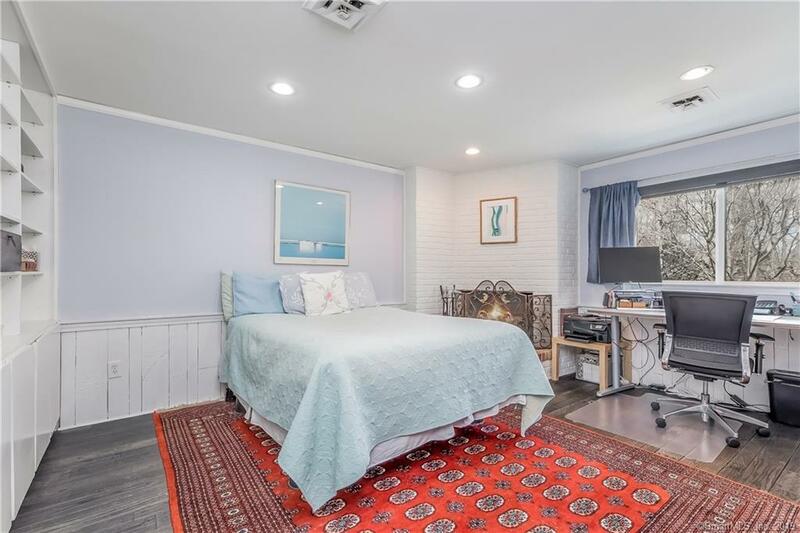 Perfect West Norwalk location on Gillies Lane including two oversized garage parking spaces plus storage underneath., Replacement thermopane sliding glass doors to deck and most windows. 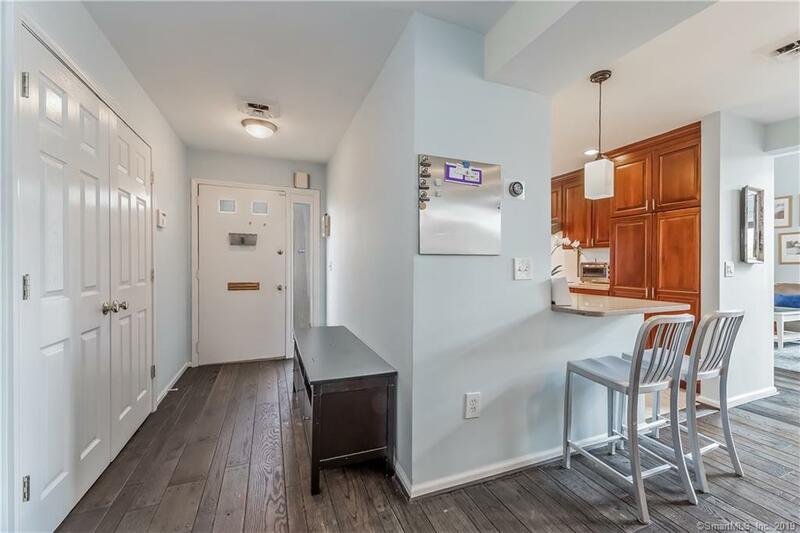 Replaced A/C â Heat Pump compressor in 2018. 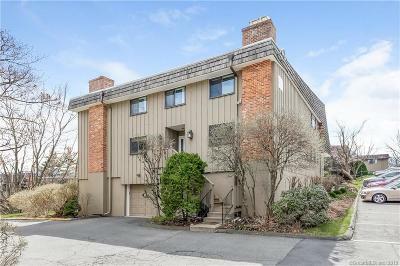 Sewer and water charges included in HOA fees. 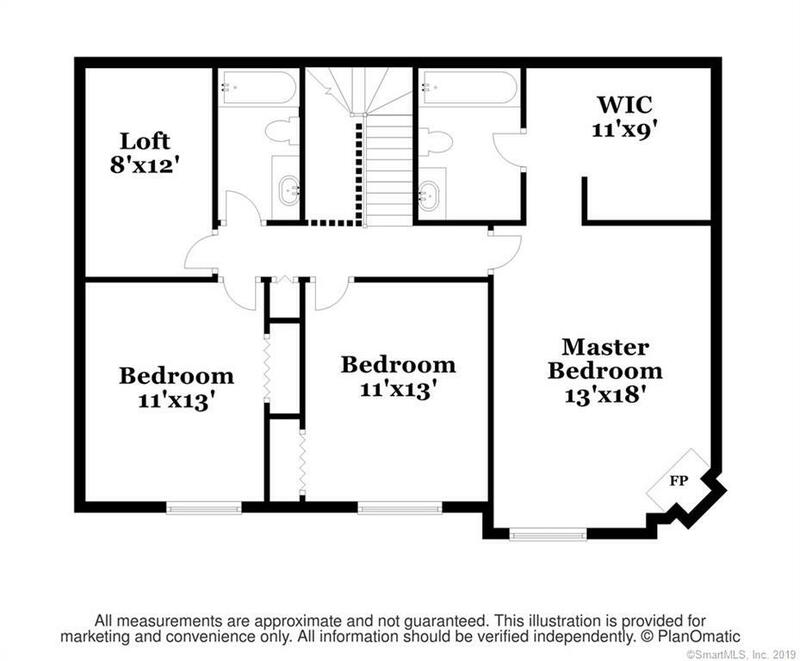 Directions: Scribner Avenue To Gillies Lane. 3rd Speed Bump To Unit #144 On Right.